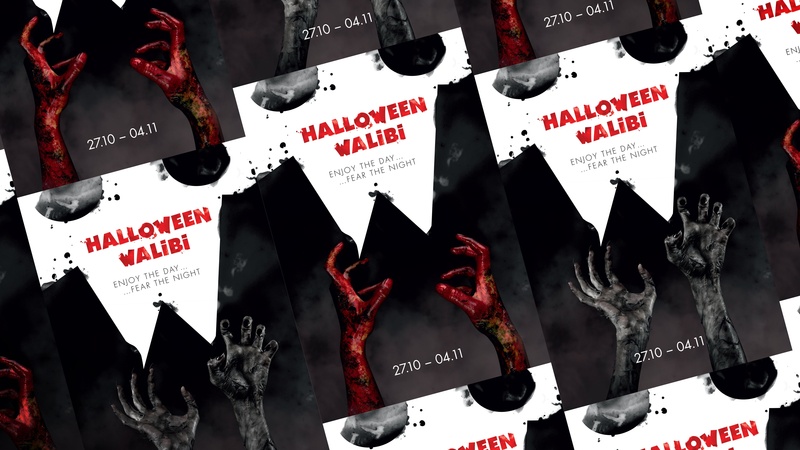 Just as last year, Walibi celebrates Halloween with the slogan "Enjoy the day... Fear the night". The event, which was awarded Best Halloween Event in Belgium, got redesigned by BBDO. This Halloween, Walibi gets taken over by 250 monsters, 7 haunted houses, a show with Aaron Crow (from America's Got Talent) and stunning fireworks. Frightening fun for all ages! Well, until 6 PM, at least. That’s when the creeps kick their chainsaws into high gear. BBDO came up with a graphic campaign that appeals to the viewer’s imagination. It portrays the event in a mysterious and intriguing way. The campaign visual is a frightening skull, subtly shaped by the iconic W of Walibi. The campaign can be seen in outdoor, on social media, in the Anderlecht football stadium... And it can be heard too: a radio spot creates the same mysterious mood.